Two component, ergonomic design with anti-slip horns for increased comfort control and safety. VDE certified and individually tested to 10,000V for complete safety when working on live equipment up to 1000V. Shearing action for clean cut results. Razor sharp, parrot beak blades for effortless cuts. Suitable for copper & aluminium wire only. Drop forged chrome vanadium steel for strength and durability. High leverage design with induction hardened and precision ground cutting edges for unsurpassed cutting performance. Ergonomic dual component handles offering the perfect balance of grip and comfort. Certified to VDE 0682/201:2005 01 & IEC 60900:2004. GS approved. DIN ISO 5749. 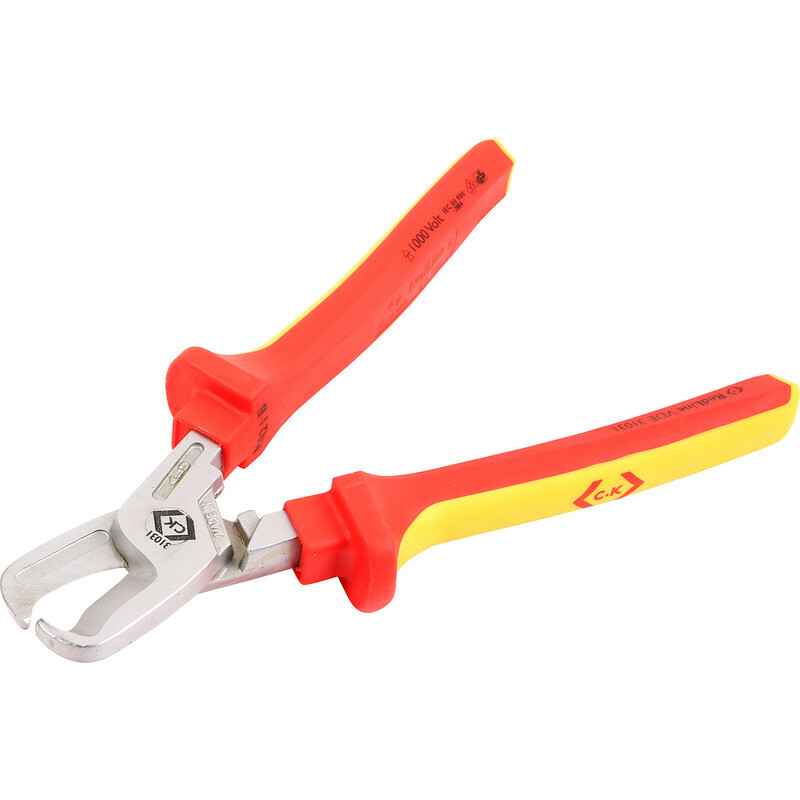 C.K Redline VDE Heavy Duty Cable Cutters 210mm is rated 5.0 out of 5 by 1.